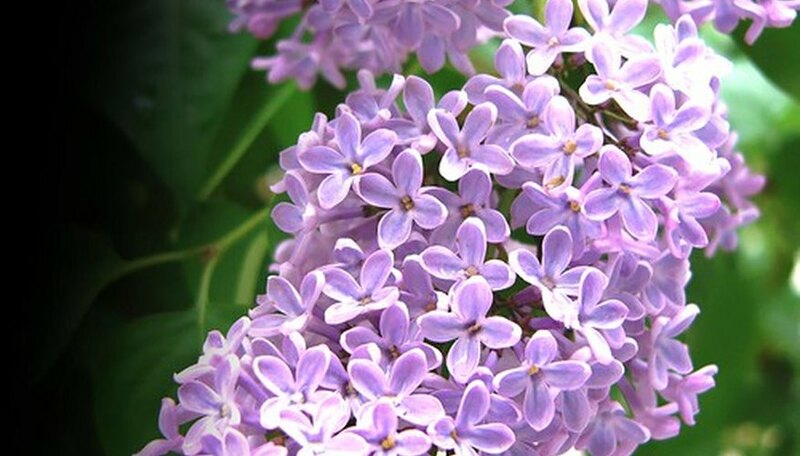 Hardy and strong, lilacs are fairly disease resistant and some varieties are bred to be even more so. Plant them with spaces between and in good sunlight to improve their chances of avoiding disease. Wet springs, over-watering and shady areas can lead to disease so avoid these situations whenever possible. Recognize the signs of the common diseases and know what to do about them when they occur. in some instances, you may have to destroy the lilac bush to prevent the spread of the disease. Lilac blight or lilac bacterial blight is a disease affecting lilac bushes that leaves buds and new leaves looking blackened and scorched. It is prevalent following a wet, rainy spring, especially following a winter injury to the plant or a late frost. Buds and leaves may appear normal at first but leaves will develop black streaks and buds will blacken and remain closed. The only treatment for lilac blight is to prune any affected limbs and burn the waste. Prevention is a better way to go. Keep plants well-spaced and pruned to prevent rubbing and allow proper air flow around the plants. Avoid over-fertilizing and fertilizing late in the summer. Each spring before budding begins, spray the bushes with copper sulfate. Powdery mildew is a fungus that affects ornamental plants and causes a white or gray powdery-looking appearance on leaves, flowers and stems. Sometimes, leaves will begin to twist or curl before the fungus is visible. Airborne spores cause the infection and outbreaks are most common when temperatures are between 60 and 80 degrees Fahrenheit. Powdery mildew is not fatal but can cause plants to lose leaves early and enter premature fall dormancy. Remove diseased branches and dispose of them through burning. Prune bushes regularly and maintain spacing between plants to prevent overcrowding. Remove fallen leaves from the base of the plant, particularly infected leaves, and destroy them. Do not work with plants when wet. Use soaker-type hoses for watering during dry periods instead of overhead sprinklers that leave the foliage wet. Virus ring spot is a virus that displays yellow spots, like targets, on leaves. The leaves ultimately fall off and the plant will die. Virus ring spot causes leaves to lose their green color and become evenly colored in yellow. Mosaic virus causes a mottled appearance of green and yellow. Affected plants should be destroyed immediately to prevent the spread of the virus. Viruses attack weakened or damaged plants and may be spread by insects such as aphids and leafhoppers. Pesticides that control these insects may prevent the virus from destroying the plant.